Once you've selected a product, give us a call at 1-877-522-4662. 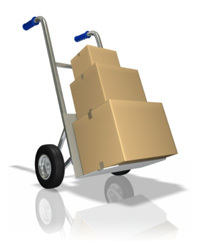 We will calculate your shipping cost in minutes, providing we have all the details needed. Freight costs are considerably lower when shipping to a place of business or a local freight terminal. We ship all products (except for hardwood medallions & borders) via large common freight liners. In most cases, but not all, we use Old Dominion Freight Lines as our main provider of shipping services. We can also arrange for shippments through your own choice of shipping carrier. We ship to all zip codes in the continental United States. The delivery schedules are assigned by the shipping carriers. After your product is ready and picked up from Synfonia Floors factory we can provide you with a tracking numbers via email or fax. At this point it is best to communicate with shipping carrier directly and track your delivery. Please note that unforeseen factors may impact estimated shipping and delivery dates. Please coordinate with the freight carrier logistical organization directly. When the product order leaves our factory, we will call, email, or fax you a PRO number that comes from the freight company. The PRO number can be used to track the movement of shipped products online. In addition, will send you a checklist of all material that has been shipped along with illustrations or pictures of what they look like. Please keep the checklist handy for when you receive the order. For those preferring residential delivery, the freight company will call to schedule a convenient time. In most cases the calls will be made in the morning. It's very important that we are provided with the most Accessible phone number so that the carrier represetative can reach you readily. For all orders, residential, business, or freight terminal we suggest calling the freight company in the morning of the expected arrival date for further instructions on delivery. You will need the PRO number (provided by Synfonia Floors) when communicating with the freight company. In some cases residential deliveries will be made with large tractor trailer trucks. For home deliveries, it is crucial for the freight company to be made aware of the location and any special requirements. For example, if driveway or street is too narrow for a trailer, then shipment will be off-loaded at the latest accessible driving point and you will be responsible from that point on. In such cases you may need a pickup truck or van to transfer the flooring products from the off-load location to your home. Residential service is considered "curbside delivery." Curbside is defined as the truck will only go as far as the end of your driveway. Drivers will assist in handing down boxes from the truck but it will be your responsibility to get them inside your home. Boxes or cartons of prefinished flooring can weigh anywhere from 25 to 60 pounds depending on the species, type (solid vs. engineered). In cases where there is hard asphalt or concrete, and the truck can get close to your home or business, a lift gate service is offered at an additional cost. Pallet jacks are often used (shown in the picture) only if there's a smooth hard surface to roll it on. Any additional services on delivery not included on original signed order confirmation must be authorized by Synfonia Floors. With lift gate service, the driver will offload the pallet(s) and get them as close as possible to your home or business. It will be preferred to roll the pallets into a garage or covered area to protect them from environmental elements. Also, note that pallet jacks cannot be pushed up or down steep inclines. Freight terminals are locations where we ship to in your specific geographic region. They are large warehouses where products are staged for shipping and distribution to local addresses by freight carriers. When products are shipped to a Frieght Termimal, you will be responsible for pick up and delivery to final destination. Business must be open during regular business hours with someone able and available to receive the flooring shipment. Please consider fork lift if you are receiving pallet size packages. If not the drivers will assist in handing down the boxes from the truck and you will be responsible from that point on. For Business shipments, the freight company does not call to schedule delivery time. Most pallets are 40"-48" in width. The length generally depends on the length of the product selected from our website. For example if it says 11"-55" random length, the boxes will be approximately 55" in length. For engineered hardwoods expect 2"-3" in height; and width can vary from 5"-15" depending on the product selected. Solid hardwoods will measure approximately 5"-8" in width and 3"-4" in height. Weight is approximated by 1.5 pounds per square foot of engineered hardwood. Solid domestic wood (oak, maple, walnut, etc.) 3/4" hardwoods weigh aboout 2.8 pounds per square foot, while exotic hardwoods weigh 3.8 pounds per square foot. When a shipment is received, count everything against the checklist provided by Synfonia Floors and the delivery receipt provided from the trucking company. Make sure the number of boxes received matches the checklist and other accessories have been accounted for. In many cases transition (trim molding) pieces may be separate from the flooring pallets and packaged differently. It is not necessary to open the hardwood boxes, but make sure the product description matches what you have ordered. Transition pieces are generally shipped in boxes or round cardboard tubes ranging in length from 72" to 96" in width or average 3 or 4 inches in diameter. It is crucial that you open each transition bundle and compare to our checklist, making sure that you have received the correct ones. Opening will require a box cutter or utility knife. Check each container making sure you have received the correct amount, color, and style. Refer to our checklist when receiving the order. Descriptions, illustrations, and numbers will be on the checklist. We cannot be held responsible for any shortages or missed items after the delivery is signed for. Synfonia Floors cannot make any warranty against damages inflated by the carrier company. However, having worked with many freight companies in the past we've found that infrequently, the last box or carton on the pallet is damaged. Sometimes a forklift driver may misjudge the pallet size or weight and accidentaly hit the bottom of the pallet. In such cases only a few pieces pieces (six or seven maximum) may be damaged. Don't be too concerned. What's not covered under freight damage? Today's prefinished hardwood flooring is packaged in corrugated cardboard, and strapped with plastic bands. Tears, broken bands, scuffed, or rippled packaging is not considered damage. Freight damage is exclusive to actual damage of the hardwood flooring itself. Damage to one or two boxes is not considered a total loss. Often only a few pieces are affected, while up to as many as 30 pieces can be contained in one box of hardwood flooring depending on the product. For damaged boxes we suggest opening them and assessing how many have been damaged. Place all good pieces back in the original carton and close the box, saving it until the actual installation time. In the rare likelihood of freight damage, or if items have not been received, you must make a note of such conditions on the delivery receipt before signing off. Don't rely on the driver making notes. You must be specific and clear. We will not be held responsible for damaged or short shipment after the product delivery is signed for. Notify us immediately of any freight damage or missing items. It will be your responsibility to contact us immediately and to request replacements. In the rare cases of damaged freight, we also require taking digital pictures and send them to us as soon as possible. The more information we receive, the quicker replacements will be on their way. Without written documentation of damaged freight or missing items we cannot process any claims or replacements. It's always a good idea to have extra inventory on hand should you need it for repair at a later date. Discontinued lines from time to time or changes in the styles could create matching problems. Often the only recourse is to replace an entire room if the original product is not available. Our policy for returning extras is to ship the unused, unopened boxes within 30 days of placing the order. We do not accept returns under 300 square feet or product lines that have been discontinued. Only full unopened cartons/boxes are acceptable. You will be responsible for the freight when returning and a 30% restocking fee. Thresholds, trims and other moldings cannot be returned, along with adhesives and underlayment products. If you wish to cancel an order after it has been shipped, you will be responsible for all freight costs including a 30% restocking fee. Other restrictions apply. 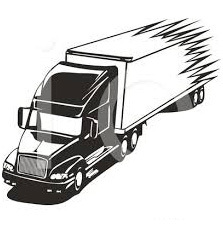 Freight costs include shipment to destination and back to the point of origin. Please read section below. All returns and cancellations must be authorized by Synfonia Floors. Return or cancellations without an authorization number will not be accepted and will be rejected. Refusing shipment for any reason without notifying us first will be considered a cancelled order and you will pay all associated costs mentioned above. Custom Orders are NC-NR (Non-cancelable, Non-returnable).